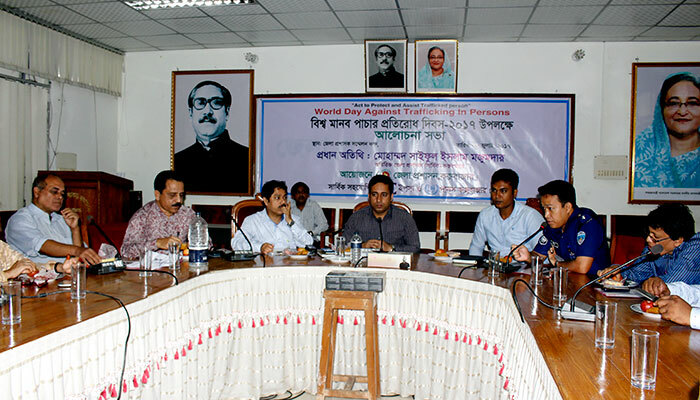 Like elsewhere in the world, the Office of District Commissioner of Cox’s Bazar in assistance with YPSA & PHALS – two NGOs working on human trafficking issues organized the World Day against Human Trafficking on 3oth July, 2017. The year’s theme is “To Act to Protect and Assist Trafficking In Persons”. 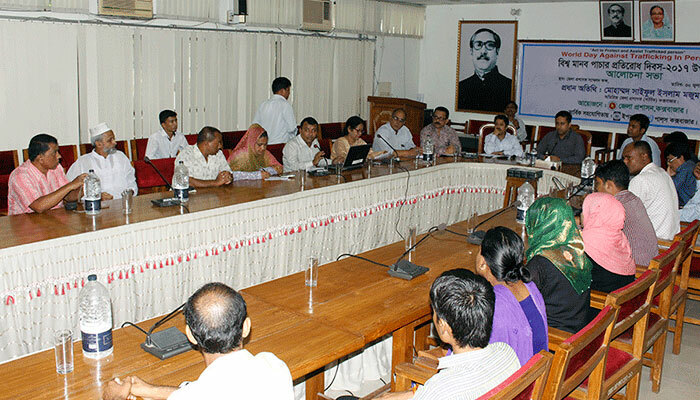 To mark the day, a discussion meeting was held at the Conference Hall of DC Office of Cox’s Bazar. Mohammad Saifur Islam Mazomder, ADC(General), Cox’s Bazar was present as Chief Guest while Abu Morshed Choudhury (Koka), President of Civil Society, Cox’s Bazar presided over the meeting . Among the government officers participated in the meeting were Mr. Showmitra Chakma, ASP (Crime), Dr. Mohiuddin Alamgir, Deputy Civil Sergeant and AKM Lutfor Rahman, Assistant Commissioner. However, a good number of representatives from different organizations attended the meetings. The meeting started with welcome speech of Mohammad Saifur Islam Mazomder, ADC (General). Mr. Jishu Barua Program Manager of YPSA-Bangladesh Counter Trafficking In Persons’ (BC/TIP) Program presented a PowerPoint present on activities on YPSA-BC/TIP Program in the meeting. The PowerPoint presentation was followed by an open discussion which was participated by representatives from different organizations. Mr. ShowmitraChakma, ASP (Crime) informed the meeting that Police recently arrested traffickers who were trying to traffic some Rohinga people in Teknaf. 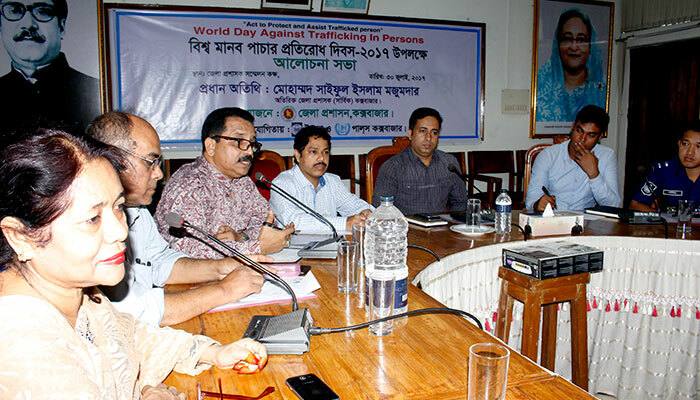 Mohammad Saifur Islam Mazomder, ADC (General) appreciated YPSA for operating programs to protect and assist the trafficking in persons for their rehabilitation and reintegration, and also creating awareness about anti-human and safe migration in this region. However, he also thanked both YPSA and PHALS to assist the DC Office to organize the day.